Bulk caffeine products may have killed at least two people and they don’t belong on the market, the Food and Drug Administration said Friday. The FDA declared concentrated, bulk caffeine products illegal and said it would act to get them off the shelves. 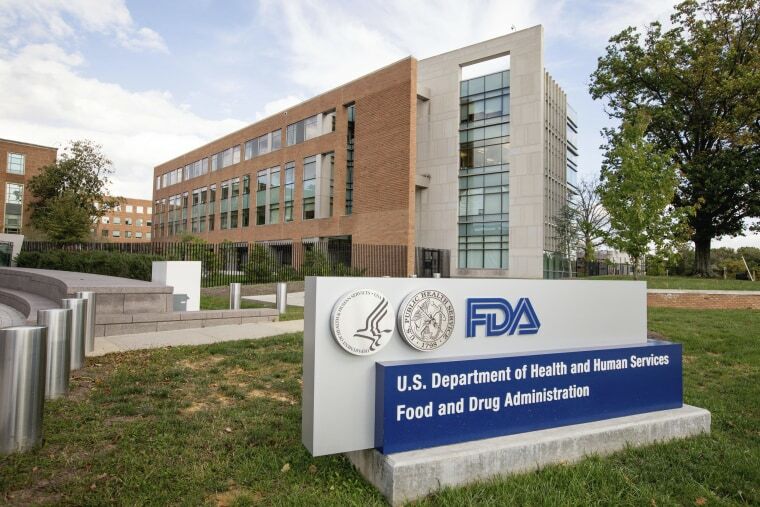 “These products present a significant public health threat because of the high risk that they will be erroneously used at excessive, potentially dangerous doses,” the FDA said in a statement. The FDA has been warning about powdered caffeine since 2014, when an Ohio teenager died after using it. It’s also specifically asked sellers to stop providing it directly to consumers. "Despite multiple actions against these products in the past, we’ve seen a continued trend of products containing highly concentrated or pure caffeine being marketed directly to consumers as dietary supplements and sold in bulk quantities, with up to thousands of recommended servings per container,” FDA Commissioner Dr. Scott Gottlieb said in a statement. It would be easy to get a dangerous dose, the FDA said. "A half cup of a highly concentrated liquid caffeine can contain approximately 2,000 mg of caffeine and just a single teaspoon of a powdered pure caffeine product can contain approximately 3,200 mg of caffeine. This is equivalent to about 20 to 28 cups of coffee, a potentially toxic dose of caffeine," the agency said. “Regardless of whether the product contains a warning label, such products present a significant and unreasonable risk of illness or injury to the consumer,” the FDA added. Too much caffeine can cause fatal heartbeat irregularities. The FDA's action does not include energy drinks or energy products that contain caffeine, or supplements. "Moreover, this guidance does not affect other types of products that might also contain caffeine, such as prescription or over-the-counter drugs or conventional foods, like traditionally caffeinated beverages," it said. But the bulk products can easily confuse people, who may accidentally overdose on them. "While consumers of commonly available caffeinated products such as coffee, tea, and soda may be aware of caffeine’s less serious effects — such as nervousness and tremors — they may not be aware that these pure and highly concentrated caffeine products are much more potent and can cause serious health effects, including rapid or dangerously erratic heartbeat, seizures and death," the FDA said.